Keren Byrdsong | I am the miracle, Mummy said so. Morton neuroma (interdigital neuroma), first described in 1876, is a perineural fibrosis and nerve degeneration of the common digital nerve. Morton neuroma, or Morton’s neuroma, is not a true neuroma, although it results in neuropathic pain in the distribution of the interdigital nerve secondary to repetitive irritation of the nerve. The most frequent location is between the third and fourth metatarsals (third webspace). Other, less common locations are between the second and third metatarsals (second webspace) and, rarely, between the first and second (first webspace) or fourth and fifth (fourth webspace) metatarsals. Anything that causes compression or irritation of the nerve can lead to the development of a neuroma. One of the most common offenders is wearing shoes that have a tapered toe box, or high-heeled shoes that cause the toes to be forced into the toe box. People with certain foot deformities – bunions, hammertoes, flatfeet, or more flexible feet – are at higher risk for developing a neuroma. Other potential causes are activities that involve repetitive irritation to the ball of the foot, such as running or court sports. An injury or other type of trauma to the area may also lead to a neuroma. Treatment strategies for Morton’s neuroma range from conservative to surgical management. The conservative approach to treating Morton’s neuroma may benefit from the involvement of a physical therapist. The physical therapist can assist the physician in decisions regarding the modification of footwear, which is the first treatment step. Recommend soft-soled shoes with a wide toe box and low heel (eg, an athletic shoe). High-heeled, narrow, nonpadded shoes should not be worn, because they aggravate the condition. The next step in conservative management is to alter alignment of the metatarsal heads. One recommended action is to elevate the metatarsal head medial and adjacent to the neuroma, thereby preventing compression and irritation of the digital nerve. A plantar pad is used most often for elevation. Have the patient insert a felt or gel pad into the shoe to achieve the desired elevation of the above metatarsal head. Other possible physical therapy treatment ideas for patients with Morton’s neuroma include cryotherapy, ultrasonography, deep tissue massage, and stretching exercises. Ice is beneficial to decrease the associated inflammation. Phonophoresis also can be used, rather than just ultrasonography, to further decrease pain and inflammation. There are actually not one but two different kinds of leg length discrepancies, congenital and acquired. Congenital indicates that you are born with it. One leg is structurally shorter in comparison to the other. Through developmental periods of aging, the brain senses the gait pattern and recognizes some variation. The body usually adapts by dipping one shoulder to the “short” side. A difference of under a quarter inch is not grossly uncommon, doesn’t need Shoe Lifts to compensate and normally does not have a profound effect over a lifetime. Leg length inequality goes mainly undiagnosed on a daily basis, yet this problem is easily corrected, and can reduce a number of instances of lower back pain. Therapy for leg length inequality usually consists of Shoe Lifts. These are generally affordable, frequently being less than twenty dollars, compared to a custom orthotic of $200 plus. When the amount of leg length inequality begins to exceed half an inch, a whole sole lift is generally the better choice than a heel lift. This prevents the foot from being unnecessarily stressed in an abnormal position. Low back pain is the most widespread ailment affecting men and women today. Around 80 million people suffer from back pain at some point in their life. It is a problem which costs companies millions yearly because of time lost and productivity. Fresh and superior treatment solutions are continually sought after in the hope of decreasing the economic impact this issue causes. Men and women from all corners of the world suffer the pain of foot ache due to leg length discrepancy. In most of these cases Shoe Lifts are usually of very helpful. The lifts are capable of eliminating any discomfort in the feet. Shoe Lifts are recommended by many expert orthopaedic doctors. To be able to support the human body in a balanced manner, feet have got a vital task to play. Irrespective of that, it’s often the most neglected region of the human body. Some people have flat-feet meaning there may be unequal force placed on the feet. This will cause other parts of the body like knees, ankles and backs to be affected too. Shoe Lifts make sure that proper posture and balance are restored. Do Bunions Ever Need Surgical Treatment? Women traditionally have a higher rate of bunions, which is to be expected, since it is they who have traditionally worn shoes with high heels, a narrow toe box, or whatever fashion dictates from year to year. However, men can suffer from bunions as well, as can anyone for whom the right (or wrong) conditions exist, poor foot mechanics, improper footwear, occupational hazards, health and genetic predisposition. Finally, bunions have long been a condition associated with the elderly, and although they often appear in conjunction with inflammatory joint diseases such as arthritis (which is often associated with age), they can strike at any point in life, including adolescence. SymptomsThe signs and symptoms of a bunion include a bulging bump on the outside of the base of your big toe, swelling, redness or soreness around your big toe joint, Thickening of the skin at the base of your big toe, Corns or calluses, these often develop where the first and second toes overlap, persistent or intermittent pain, restricted movement of your big toe. Although bunions often require no medical treatment, see your doctor or a doctor who specializes in treating foot disorders (podiatrist or orthopedic foot specialist) if you have persistent big toe or foot pain, a visible bump on your big toe joint, decreased movement of your big toe or foot, difficulty finding shoes that fit properly because of a bunion. Comments Off on Do Bunions Ever Need Surgical Treatment? It is thought to be a traction injury, where the Achilles tendon and Plantar fascia pull in opposite directions. Sever?s occurs in children aged 8 to 16 years old. In children, the heel bone is made up of 2 bones, with a growth plate of cartilage in between the sections, holding these 2 bones together. As the cartilage expands, the edges of it eventually turn to bone, and finally the gap closes. This usually occurs within the first 13-15 years of life. However, because these bones are connected by cartilage they are weaker than normal bones. This is why they are very vulnerable to injury. Having flatfeet or very pronated feet can make one prone to Sever’s disease. But also patient?s that have a very high arch foot structure tend to have a very high shock and high impact heel strike. This also puts extra stress on the heel and apophysis. The most common symptoms of Sever?s involves pain or tenderness in one or both heels. This pain usually occurs at the back of the heel, but can also extend to the sides and bottom of the heel. A child with Sever?s may also have these common problems. Heel pain with limping, especially after running. Difficulty walking. Discomfort or stiffness in the feet upon awaking. Swelling and redness in the heel. Symptoms are usually worse during or after activity and get better with rest. Cold packs: Apply ice or cold packs to the back of the heels for around 15 minutes after any physical activity, including walking. Shoe inserts: Small heel inserts worn inside the shoes can take some of the traction pressure off the Achilles tendons. This will only be required in the short term. Medication: Pain-relieving medication may help in extreme cases, but should always be combined with other treatment and following consultation with your doctor). Anti-inflammatory creams: Also an effective management tool. Splinting or casting: In severe cases, it may be necessary to immobilise the lower leg using a splint or cast, but this is rare. Time: Generally the pain will ease in one to two weeks, although there may be flare-ups from time to time. 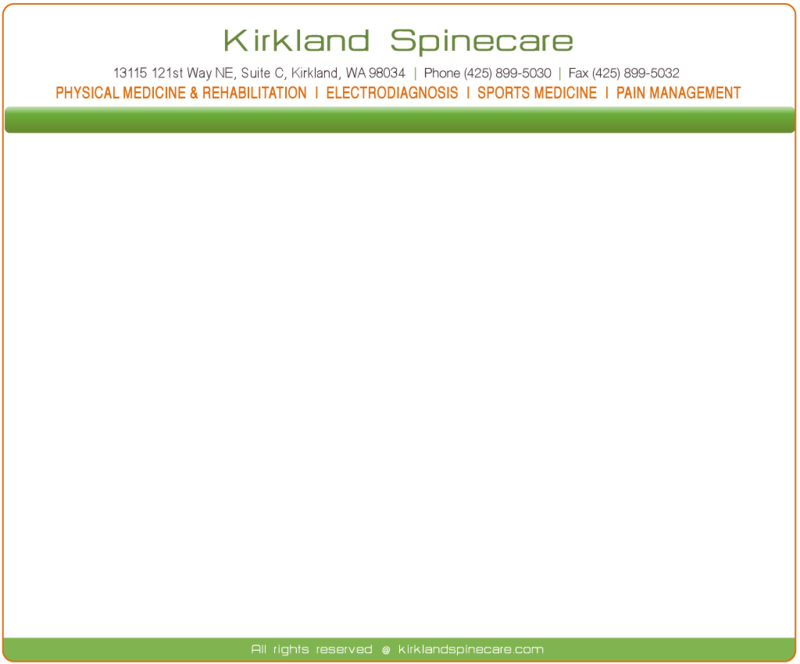 Correction of any biomechanical issues: A physiotherapist can identify and discuss any biomechanical issues that may cause or worsen the condition. Education: Education on how to self-manage the symptoms and flare-ups of Sever?s disease is an essential part of the treatment. Prevention consists of maintaining good flexibility through stretching exercises, avoid excessive running on hard surfaces, and use quality, well-fitting shoes with firm support and a shock-absorbent sole. Age plays a large role in the development of heel pain, particularly among those over 40. Being active is also a common factor of heel pain. Over time, the elasticity of the tissue in our feet decreases with age, causing us to become prone to damage and also slowing the body’s ability to heal damage. Adolescents are also not immune to heel pain. Those who are active in sports are particularly prone to excessively stretching or straining the plantar fascia or Achilles tendon, causing severe heel pain. In most cases, heel pain develops in only one heel. There are many risk factors that lead to heel pain. Abnormal gait and excessive, repetitive stress are common factors in the development of pain and damage. Among the other risk factors involved with the development of heel pain are repetitive exercise or activities, such as long distance running or jumping from activities such as basketball. Obesity. Walking barefoot on hard surfaces. Prolonged standing. Wearing poor fitting shoes, or shoes that do not provide enough support or cushioning. Not stretching properly or at all before and after exercise. Those who are on their feet for long periods of time. Home care, in cases that are not severe, home care is probably enough to get rid of heel pain. Rest, avoid running or standing for long periods, or walking on hard surfaces. Avoid activities that may stress the heels. Ice, place an ice-pack on the affected area for about 15 minutes. Do not place bare ice directly onto skin. Footwear. proper-fitting shoes that provide good support are crucial. Athletes should be particularly fussy about the shoes they use when practicing or competing – sports shoes need to be replaced at specific intervals (ask your trainer). 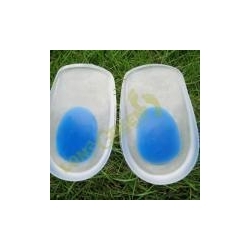 Foot supports, wedges and heel cups can help relieve symptoms. Comments Off on Do You Really Understand Heel Aches? What Are The Key Treatment And Cause Of Achilles Tendonitis Problems ? Paratenonitis presents in younger people. Symptoms start gradually and spontaneously. Aching and burning pain is noted especially with morning activity. It may improve slightly with initial activity, but becomes worse with further activity. It is aggravated by exercise. Over time less exercise is required to cause the pain. The Achilles tendon is often enlarged, warm and tender approximately 1 to 4 inches above its heel insertion. Sometimes friction is noted with gentle palpation of the tendon during ankle motion. Tendinosis presents similarly but typically in middle-aged people. If severe pain and limited walking ability are present, it may indicate a partial tear of the tendon. Make sure that the tendon is not torn through and through. If it is severed, you must see a doctor immediately so that the tendon can be repaired. Severe injuries can sever a tendon, without a skin laceration being present. Testing involves moving the toes and foot to see if the tendon moves. If the tendon does not appear to move, it may be severed (comparing the injured tendon and its movement to the same tendon on the uninjured foot may help). Very sharp pain, a sudden pop, or an obvious gap in the structure of the tendon are all signs of a rupture, and should be seen by a doctor as soon as possible. If there is extreme swelling of the leg, and pain (out of proportion to the amount of trauma received), you may have sustained a vascular injury. A doctor must see this type of injury immediately. If you are not sure, see a doctor. If you have multiple injured areas see a doctor immediately, in order to prevent excessive swelling and pain. If the above exam is negative, then you may proceed with self-treatment. (However, if you are not sure of the extent of your injury, you should consult your doctor immediately). The sooner you begin to treat your injury by following “R.I.C.E.”, the better you will feel. Rest is very important. Take off your shoe, get off your feet, and relax. Ice should be applied as soon as possible. Never apply ice directly on the injured area, as the cold may make the pain worse. Ice should be applied close to the injured site, between the heart and the injury, so that as the blood flows under the ice, it will be cooled. This cool blood flowing into the injured area will help to reduce the swelling and pain. Apply the ice, wrapped in a cloth or over an elastic bandage, to the foot for 15 minutes, every 1-2 hours, for up to 3 days after an injury. If the ice is uncomfortable, or causes increased pain, do not continue to use it, and see a doctor. If you have poor circulation do not use ice, as this may cause a serious problem. c. Compression is used to limit swelling, and to give support to the injured area. Compression should be applied to the entire foot, starting first at the toes and working back to the ankle. If it is applied just to the injured area, increased swelling will occur in front and behind the wrapping. Compression should be applied with a 3-inch elastic bandage, beginning around the base of all the toes, and then going around the foot and ankle. Continue over the calf muscle when possible. Compression reduces motion in the injured area and foot, and this decreases the pain, and allows for quicker healing. The bandage should not be so tight that it causes increased pain or throbbing in the toes or foot. It should be comfortable! Do not remove the elastic bandage for the first 12 hours, unless it becomes too tight, or the pain increases, or the toes become pale, blue, or cool. If any of these things happen, immediately remove all bandages, and leave them off for several hours. The normal color and temperature of the toes should return immediately. If not, see a doctor immediately! Continue until the swelling and pain subsides; it could take from several days to several weeks. d. Elevation of the leg will aid in reducing swelling and pain. Blood rushes to an injured area to bring increased blood cells, that aid in healing. Gravity will also force blood to the injured area. Too many cells and too much fluid will apply pressure to the injured nerves and tissues, and cause increased pain and delayed healing. Keep your foot elevated so that it is at least parallel to the ground, or higher if it is comfortable. Do this for at least 48 hours, or until the throbbing subsides, when you lower the leg. Comments Off on What Are The Key Treatment And Cause Of Achilles Tendonitis Problems ? The following self-help treatments have been found to be most effective. Rest your foot. Reduce the amount of weight-bearing activities you participate in. Get off of your feet and elevate them. This will allow healing to begin. Apply ice to your foot. Applications of ice packs that provide a comfortable cooling to the heel and arch (not a freezing cold) will help reduce pain, swelling, and inflammation. Apply the ice to the heel and arch (not the toes). Make sure it is comfortable, and leave on your foot for about 20 minutes, 3 times a day. If you have any medical problems such as diabetes, poor circulation, etc., discuss the use of ice with your doctor before applying the ice. ActiveWrap allows you to apply comfortable cold therapy to your foot without messy ice cubes. Use while on the “go.” Do not walk with bare feet. Always protect your heels, arches, and plantar fascia with good supportive shoes. Orthaheel Orthotic Flip Flops For Men and Women are designed for walking comfort with built in orthotic footbeds that help reduce foot pain from plantar fasciitis. Use in the house or on the beach. Stretch the Plantar Fascia while sleeping. Plantar Fasciitis and Heel Spur pain is usually worse with the first steps in the morning. This is due to the Plantar Fascia tightening up, or contracting while we sleep. To prevent these pain producing contractures of the plantar fascia, the foot must be held in its normal or neutral position while we sleep. This optimal position of the foot is maintained with our comfortable and supportive Night Splint. When foot contractures are prevented during sleep, the “first step pains” Plantar Fasciitis and Heel Spurs will gradually subside. Stretch the Plantar Fascia during the day. Even though the Plantar Fascia is a thick tissue band with very little “give” to it, with the proper care (a Night Splint and the following exercises) it can be stretched a small amount. 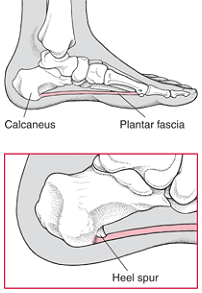 By stretching the Plantar Fascia even a bit, its abnormal pull on the heel is reduced. This will help to reduce pain and inflammation in the heel and arch. Two of the most effective exercises recommended are. Before stepping down, especially after sleeping or resting, stretch the arch of the foot by stretching your legs out in front of you (do not bend the knee). Place a towel around the ball of the foot. Slowly pull on the ends of the towel, pulling the toes and ball of the foot back as far as is comfortable. Hold the foot in this position for ten seconds. Repeat at least ten times. You should feel a pull on the bottom of the foot, especially in the arch. This stretches the plantar fascia, and reduces its pull on the heel. Stand about 2 to 3 feet from a wall. Lean forward with your hands against the wall. With the painful foot behind, place the other foot forward. Press against the wall, shifting weight over the front foot, while straightening the back leg. Keep the heel of the back foot on the floor and feel the stretch in the heel, Achilles tendon, and calf. Hold this position for ten seconds. Repeat at least ten times, and try to do this three times a day. 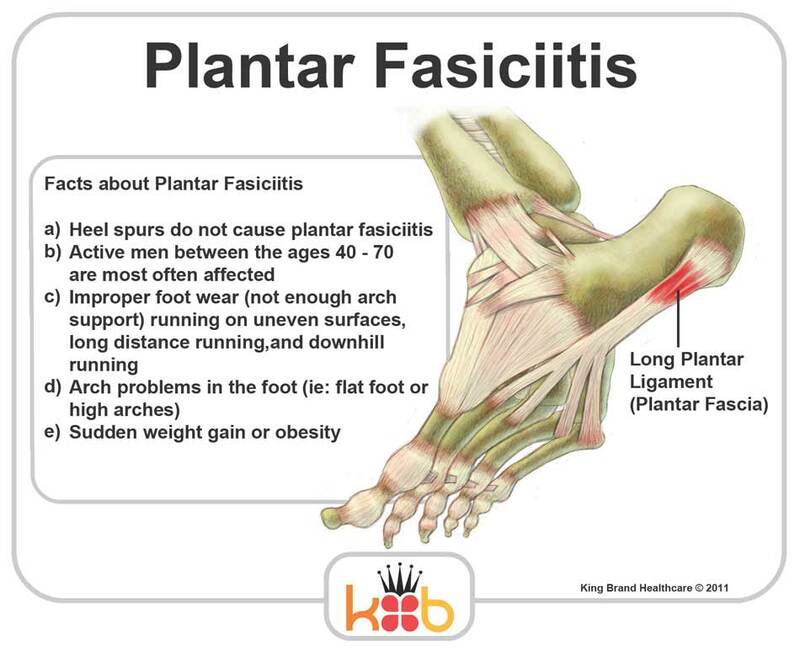 When these things are achieved, the inflammation and pain of Plantar Fasciitis and Heel Spurs will gradually subside. If you are unsure of the nature of your foot problem, if your pain is intense and does not subside, if you are a diabetic or have other medical problems, if your pain is due to an injury, if an open sore is present, if a mass can be felt, or if you think that you may have an infection, we suggest that before beginning any of the above treatments you consult with your doctor.